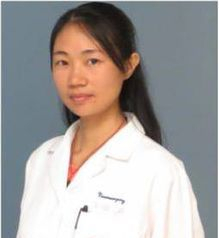 Dr. Qinyu Wang O.M.D. (China), Ph.D.,L.Ac., 王琴玉中医针灸博士， doctor of Chinese Medicine, licensed acupuncturist and herbalist in California, professor of American College of Traditional Chinese Medicine (ACTCM) at California Institute of Integral Studies (CIIS). Dr. Wang was trained in China. Separately she got her bachelor's degree of medicine, master's degree of medicine and doctoral degree from Hunan University of Chinese Medicine, Anhui University of Traditional Chinese Medicine, and Guangzhou University of Chinese Medicine. When studied for her master's degree, she was guided by famous Chinese medicine doctor professor Gao Xinzhu, one of the favorite disciples of Master Lu Shouyan. For her doctoral degree, she followed professor Jin Rui, the celebrated Chinese medicine doctor, to study JINSANZHEN--Lingnan acupuncture and moxibustion new school. JINSANZHEN has become a successful clinical acupuncture model, renowned home and abroad, because of its unique mechanisms in its systems including principle, method, prescription, techniques ,acupoints (理、法、方、针、穴) and profound efficacy. Dr. Wang is a licensed medical doctor in China, had worked in the first affiliated hospital of Guangzhou University of Chinese Medicine（广州中医药大学第一附属医院 http://www.gztcm.com.cn）, which is one of the top level hospitals in China. She had been an associate professor in GZUCM since 2009. In March 2012 Dr. Wang came to USA, visited and worked at neurosurgery department of University of Texas medical school first, then at neurology department of UCSF Medical School. Currently, Dr. Wang is a professor at ACTCM @ CIIS , a chief instructor for TCM Gynecology, acupuncture for muscular-skeletal diseases , TCM diagnosis, Chinese herbs, acupuncture techniques, etc. Dr. Wang is also a clinic supervisor for acupuncture at CPMC ( California Pacific Medical Center) Davies Campus. 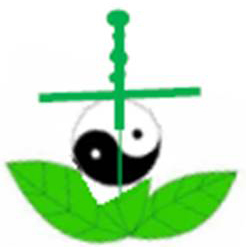 With both eastern and western medicine background, Dr. Wang is good at using acupuncture and Chinese herbal medicine, combined Taoist energy medicine for pain management, stroke, other neurological disorders, sleep disorder, women’s health, anti-aging, anxiety and depression, allergic diseases, etc. Dr. Wang started to run a private clinic at San Francisco since 2015, and moved to Burlingame in January 2017.